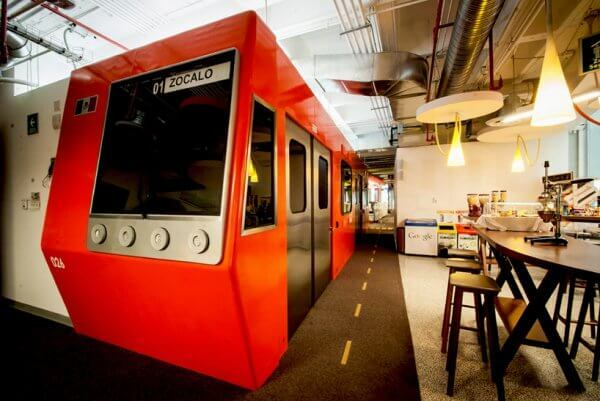 When we talk about the world’s most incredible workspaces, Google almost always tops the list. Minds head straight to the Lego, free haircuts, bowling alleys and host of other playful perks that Google offices are renowned for. But a bit of fun doesn’t necessarily drive culture. 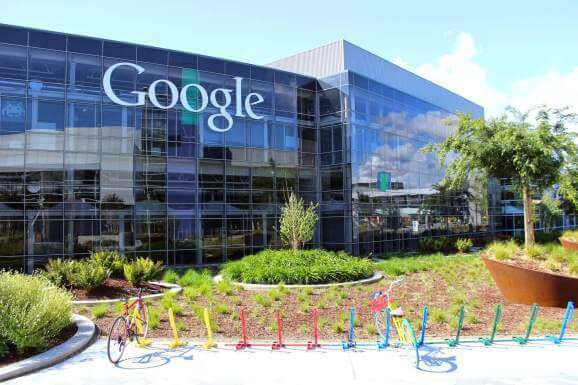 It doesn’t necessarily make an employee think, ‘I’m trusted and empowered to do my job.’ But when you combine the fun times with Google’s leadership philosophy and human-centric design, there’s little doubt they’ve changed the game for workplaces everywhere. So what is it that Google is doing so right? And how can we apply their methodology to our own designs? We’ve taken a virtual walkthrough of their redesigned headquarters, and have narrowed down our observations into three key themes: community, nature, and human beings. If we were to sum it up in one word – connection. Google is genius when it comes to community connectivity. Whether it’s building their own or integrating with local people, businesses, and ways of life. In earlier posts, we’ve talked about ‘zoning’ for the many functions, personalities, and dynamics within your workforce. 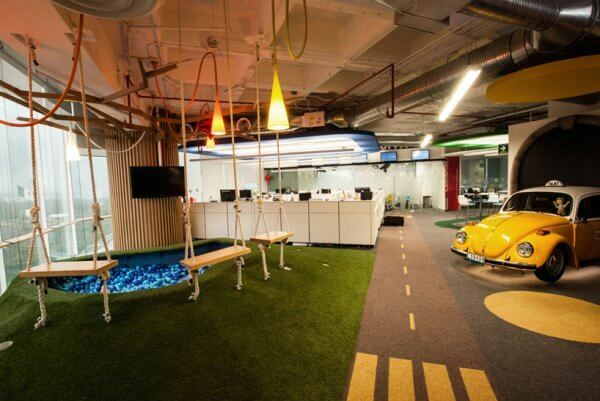 Google takes it one step further with themed floor levels, spaces for play, for pets, for creativity, eating, and exercising. They’ve integrated the artwork of local artists on entire walls, elevator lobbies, and hallways. Google HQ invites historical and contemporary San Francisco into their business and pays homage to the city and its culture. Hear from local artists and experience it for yourself in this 5-minute video by Google. Google HQ neighbours the San Francisco Bay and maintains its connection with the shoreline and many other outdoorsy elements in its design. Expansive glass walls, solar canopies, bike and foot trails, and a mix of both in and outside gardens, bridge the gap between the natural landscape and the commercial tech hub that is Silicon Valley. Google (seemingly) does what it does to bring out the best in its people. They weave a culture of connectivity, freedom, and empowerment throughout the business – from the leaders at the top to the interns. If you sit back and look at the architecture and interior design of Google HQ, you can see in tangible form, how they’ve used an abundance of space, light, colour, organic shapes, natural materials and environmentally sensitive techniques to build a habitat for people to be themselves, within a community. 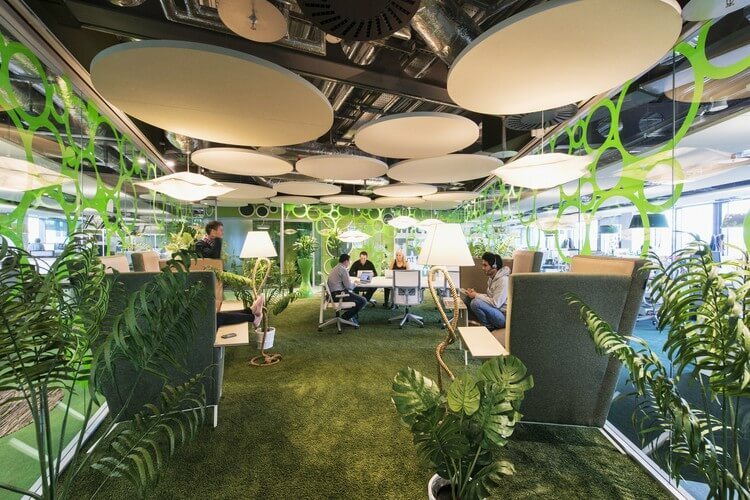 While we can’t all have the budget or the facilities as Google, they’re really just doing what other cutting-edge workplaces are doing too – tapping into the human, social, and intellectual needs of its workforce and allowing it the space to flourish.